It’s a rare feat few have accomplished in the commercial airline industry. Parents and children behind the controls of the same aircraft. But it happened on Wednesday at Delta’s headquarters. Atlanta-based pilots Capt. 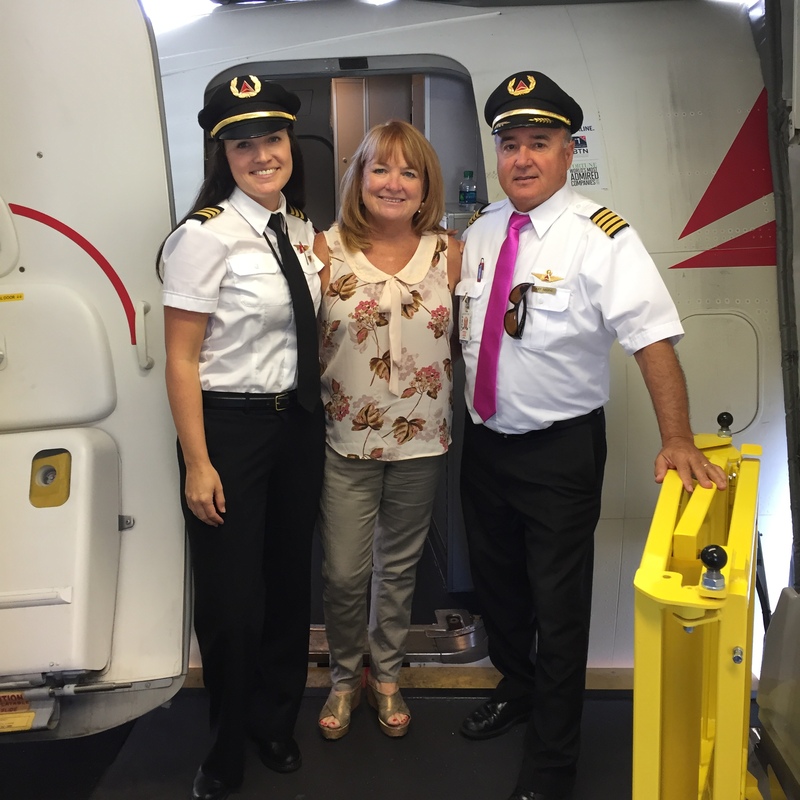 Wendell Nissing and his daughter, First Officer Tara Keough, are now one of a handful of Delta families who have co-piloted a flight. Thanks to a scheduling swap with other pilots, the two were able to make the long-time family dream a reality. Her passion for aviation stems from her parents’ military backgrounds. Nissing was a U.S. Air Force pilot and transitioned into the reserves after active duty, while his wife Kathi worked as a loadmaster, responsible for properly loading, securing and escorting cargo and passengers, making her one of the first female air crew members in that branch of the armed services. “My parents always told me I could be whatever I wanted and were 100 percent behind my choice to become a pilot,” said Keough. “I feel very fortunate to have always had their unwavering support." And that’s why mom wouldn’t miss this historic moment for anything in the world. She’ll actually be tagging along as a passenger. At the age of 16, Keough decided she wanted to follow in her parents’ footsteps after taking an intro to flying course. Nissing offered to help her pay for lessons while she did everything she could – refereeing high school volleyball games, babysitting, etc. – to wrangle together enough money to buy her instruction books. The first time this father-daughter duo flew together happened in 2003 after Keough received her pilot’s license. From there, she attended Parks College, an aviation school in St. Louis, Mo., and was hired by Atlantic Southeast Airlines, now ExpressJet Airlines, in 2007. Nissing joined Delta in 1990. Keough made him a proud papa in 2014 when she earned her very own pair of Delta wings. Nissing plans to retire next year, so this flight carries special meaning for him. The first leg of their journey takes them from Atlanta to Huntsville and back again and then on to San Diego. Then they’ll visit Chicago, Columbus, Ohio, and Raleigh-Durham before wrapping up their rotation on Saturday. Staffer Rachel Solomon contributed to this story.